Buy a Carton of Goat Lager and We'll buy you a live Goat! You’re reading the above correctly. 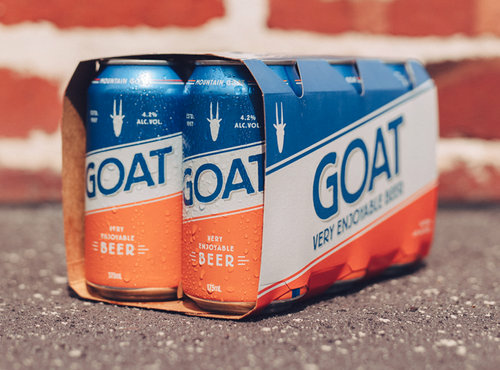 To get around our favourite Richmond brewers Mountain Goat and their tidy GOAT LAGER cans being crowned BEER OF THE MONTH, we’ve pledged to buy you your very own real live goat to donate through Oxfam Australia when you pick up a carton from us. You will be provided proof of purchase for your little goat who will provide a family in need in a developing nation with over 10,000 litres of milk. *You will need to have signed up as a member at the register so we can send you your proof of purchase but don’t worry, it’s completely free! Do good, be good, be the GOAT.